Field archery events are a great way to enjoy the outdoors, hone your archery skills, and see how you rank against your competition. When you shoot a field archery event, you will shoot targets ranging from 20 feet all the way up to 80 yards. Field archery courses offer a variety of terrains and other challenging factors that make it one of our favorite archery rounds to shoot. Let look at some more details of field archery. What is a Field Archery round? A field archery round is a marked yardage, 112 arrow contest that takes place on a variable distance course. The field archery course will typically take place in a wooded to semi wooded area and has 28 total targets. The 28 targets are divided into 2 sets of 14 targets and offer a maximum score of 560 points. To access the targets, you’ll start at either target #1 (for the 1st half) or target #15 (for the second half) depending on the amount of participants. Once you complete the half (14 targets) that you started, you will continue to the remaining half for a total of 28 targets shot, completing the field archery course. The field archery round takes place along well marked trails that have stops for each target. At each target, there will be a yardage posted for the different classes of shooters. Each archer will have to straddle the fixed yardage marker on the ground and shoot a total of 4 arrows. Once the 4 arrows (per archer) at a target have been shot, the archers will score and retrieve their arrows. The archer(s) will then move on to the next target. Each target will provide many unique challenges in the form of variable lighting, inclining shots, declining shots, and uneven shooting surface to name a few. There are many different styles that you can shoot in field archery. The styles differ in terms of what bow is allowed and what accessories you can have on your bow. The options range from the traditional style (naked longbow or recurve) all the way to freestyle in which you can use any type of bow, sight, stabilizer, etc. For more information on the different style in field archery visit our NFAA page. There are 3 different kinds of rounds you can shoot on a field archery course. Each of the rounds presents different elements to contend with, primarily different distances, different targets. Here are the 3 different rounds of field archery along with a description. Hunter rounds offer distances at any numbered yardage. 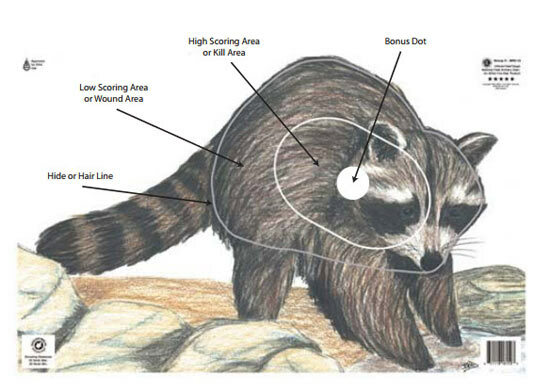 For example, a target can be at 23 yards, or 57 yards whereas in a field round, the are distanced in 5 yard increments. Hunter rounds also offer slightly shorter distances to the target with the max adult yardage being at 70 yards in comparison to the field round’s maximum yardage which is at 80 yards. The hunter round targets feature are made up of black and white rings. The inner two rings which include the center “x” and an additional ring are white in color. The next two rings outside the white center rings are black. The sizes of the field round targets vary depending on the distance of the target. Each of the four arrows shot at a hunter round target can score a maximum of 5 points. This will give you a maximum of 20 points per target. The center “x” and the next white ring make up the 5 point zone. The next concentric black ring makes up the 4 point zone. The remaining black outer ring makes up the 3 point zone. If an arrow breaks the line of the next higher scoring zone, it shall be awarded the higher points. The center “x” ring is only used for tie breaking purposes. Field rounds offer longer shots than the hunter round by 10 yards. Field round yardages are kept simple and are in five yard distances; so you’ll see yardages like 55 yards, 70 yards, 35 yards, etc. 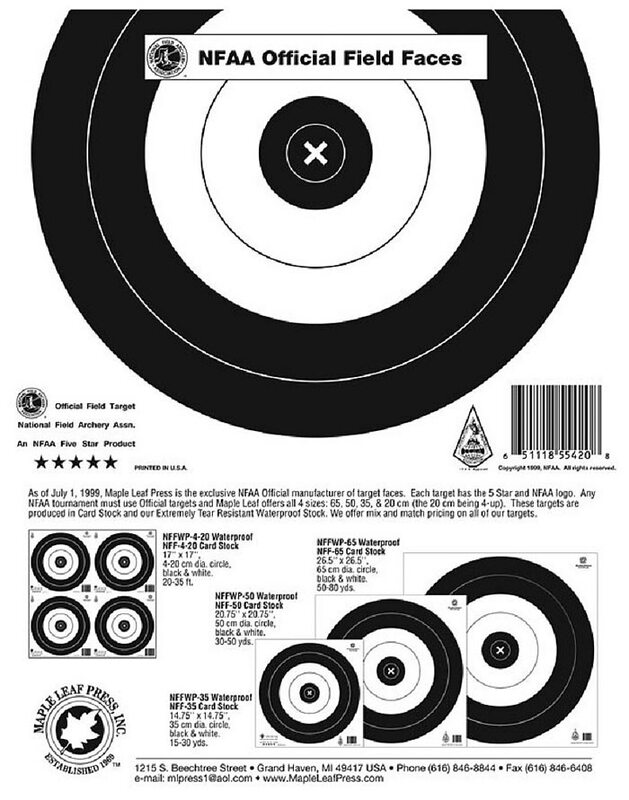 The field round targets feature are made up of black and white rings. The inner two rings which include the center “x” and an additional ring are black in color. The next two rings outside the black center rings are white and are followed by two more black rings. The sizes of the field round targets vary depending on the distance of the target. Each of the four arrows shot at a hunter round target can score a maximum of 5 points. This will give you a maximum of 20 points per target. The center “x” and the next black ring make up the 5 point zone. The next two concentric white rings make up the 4 point zone. The remaining two black outer rings make up the 3 point zone. If an arrow breaks the line of the next higher scoring zone, it shall be awarded the higher points. The center “x” ring is only used for tie breaking purposes. An animal round is different in a couple ways. 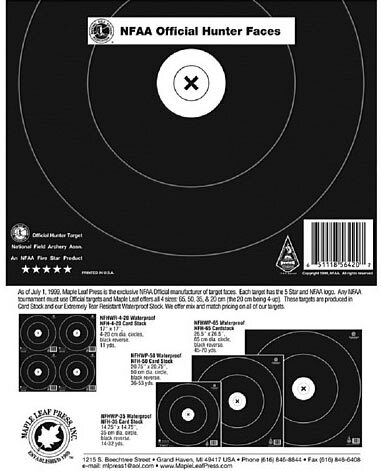 In an animal round, archers shoot at 2 dimensional animal targets that have scoring rings printed on them. There are two main scoring areas along with a bonus ring in the middle of the higher scoring section. Only 3 arrows are shot at each of the 28 targets in an animal round. The arrows must be numbered in an animal round. The first arrow can get a maximum score of 21 (bonus ring), 20 (high score section), 18 (low scoring section) or 0 for a miss. The second arrow can achieve scores of 17, 16, 14, and 0. The third arrow can score 13, 12, 10 or 0. The highest score of the 3 arrows is the only score recorded. We hope this article cleared up some of the details of shooting the various field archery rounds. 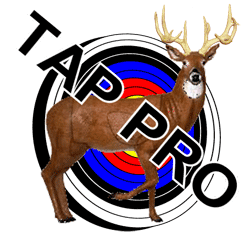 Whether you shoot a field round, hunter round, or animal round, we are sure that you will walk away with great archery workout. The different rounds of field archery offer an excellent way to challenge yourself and see how you rank against your peers. 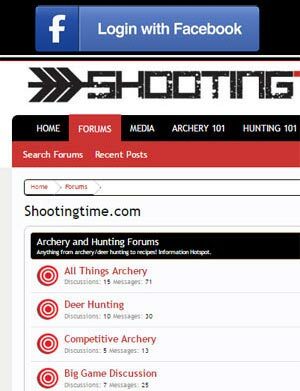 For more information on the NFAA and other archery events they govern, visit their website at https://www.nfaausa.com.